These days, the Taiwanese-born artist continues to make art that incorporate the material detritus of everyday life, such as potato chip bags and aluminum cans. His works, taking the form of performances and assembled objects, address the long-term effects of pollution, consumerism, surveillance, and intolerance, while confronting society’s attempts to shield itself, physically and psychologically, from those effects. 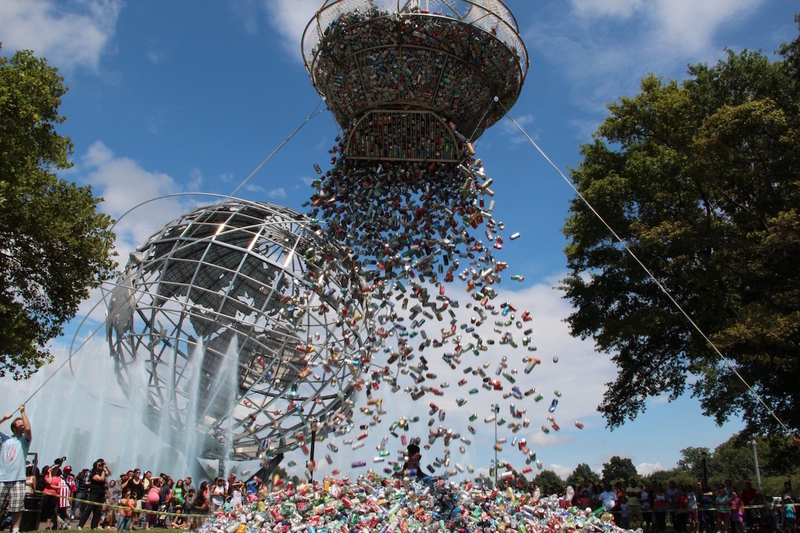 In “Kill Me or Change,” performed at Queens Museum in 2012 and then again at MoCA Taipei in 2016, Chin Chih allowed himself to be buried under 30,000 aluminum cans—the average number of cans one person throws away over a lifetime—in a demonstration of the effects of overconsumption in modern society. In “Burning ICE,” he created giant benches made of blocks of ice in New York City’s Union Square during the height of summer in 2009. Passersby were invited to cool themselves on the benches, despite the fact that the human warmth sped up their deterioration—a mirror of how human activity is melting the world’s ice deposits. It is through this mode of inquiry that Chin Chih prefers to define his work, rather than through a specific discipline or form. He especially prefers performance art, as it allows him a more dynamic form of expression that “captures [a] sense of generation and discovery,” he says. Chin Chih spent his residency at MacDowell Colony preparing for his next performance piece, currently titled “Watch Us: We Can Do It!” The large-scale project is expected to be showable in about a year, and will involve a helicopter, rope that can suspend a person 2,000 feet in the air, and 230 volunteers from around the world. Although the full details have not yet been unveiled, the piece is a dramatization of cultural mutuality, something Chin Chih has come to appreciate since leaving his native Taiwan. 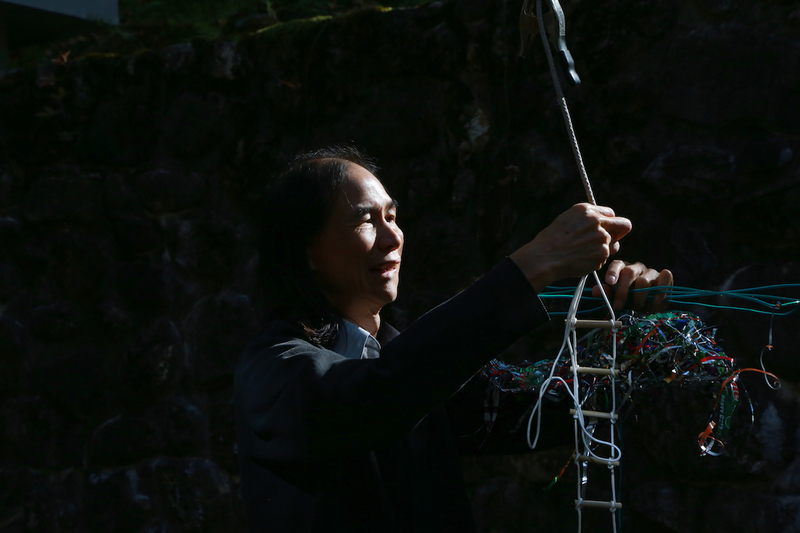 While he cherished his childhood in Taiwan, he realized that the arts community there was not receptive to the forms of art-making he was interested in. “The indigenous tradition is great, I just preferred a more multicultural mode,” he says. He would come to find it in New York City, where he first arrived in 1982 to complete a BFA at Parsons School of Design; he then earned a MS from Pratt Institute. 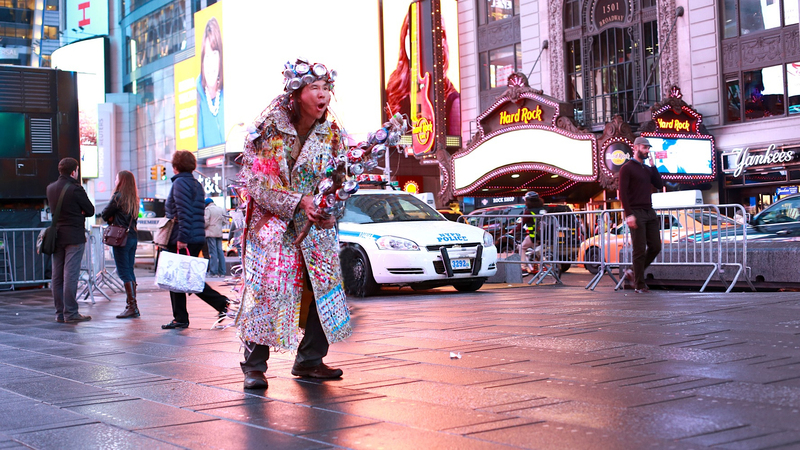 In the years since, Chin Chih has exhibited his work nationally and internationally, and has become something of a fixture in New York’s performance arts scene, having received fellowships and recognition from the New York Foundation for the Arts, the New York State Council for the Arts, the Lower Manhattan Cultural Council, the Urban Artist Initiative, and other organizations in the city.